Our most popular door during the past couple of years is our UltraSlim Patio Door with aluminium frames of less than 2cm, finished in anthracite grey. Our sliide-pivot system is similar to bifolds but each door opens individually, eliminating the need for folding hinges. UltraSlim is unrivalled with only 19mm of frame visible at the sides of each door. Putting this in perspective, our 6-door system has less frame to obstruct your view than a typical 3-door bi folding system from other manufacturers. UltraSlim individual doors slide along the guide rails and turn to open, facilitating the widest opening for access. 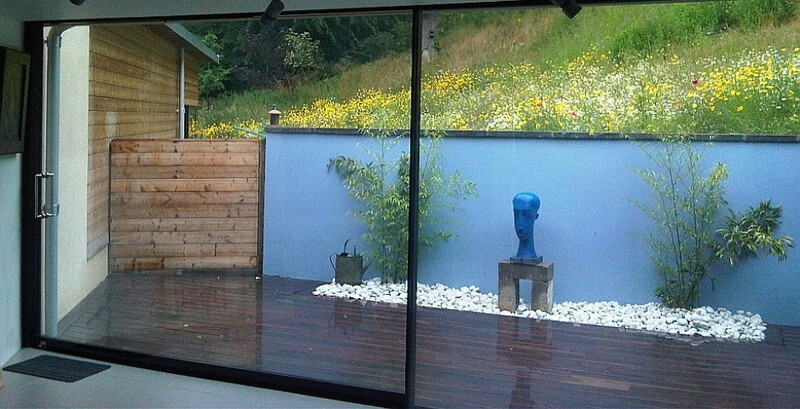 More contemporary than bi-folds, the UltraSlim slide-and-pivot system. 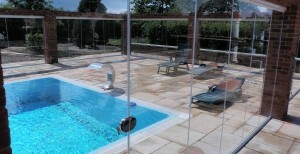 SunSeeker UltraSlim system comprises individually sliding doors which can be spaced along the guides. The master door can be sited at either end and may depend on where the doors are to be sited as well as where you would like the master door to be situated and where the doors should stack when they are open. Our site surveyor will be able to advise you which system is more suitable to your home. 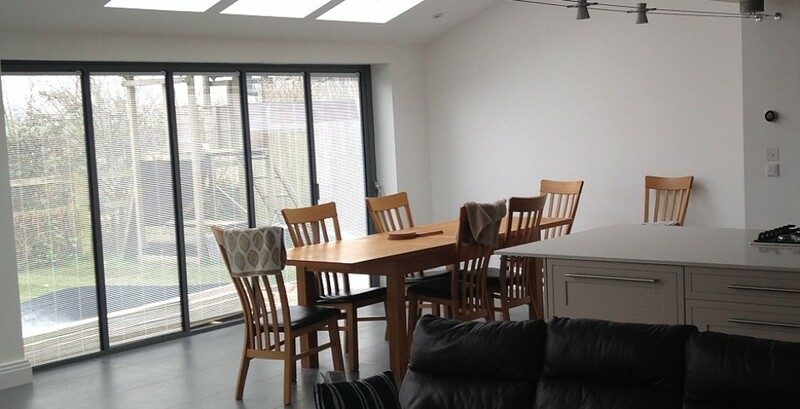 The doors are fully retractable and look similar to bi-folds when fully opened or closed; UltraSlim aluminium door frames are considerably narrower each side of the glass than folding-sliding doors available from other UK manufacturers. How have we managed this? The team at SunSeeker Doors is continually developing ideas for door design to reflect lifestyle expectations of our customers. UltraSlim aluminium frames were made possible due to the unique locking sytem we developed, as each door is lockable for added security. Slide-and-pivot doors are not required to be hinged together, as bifolding doors are. 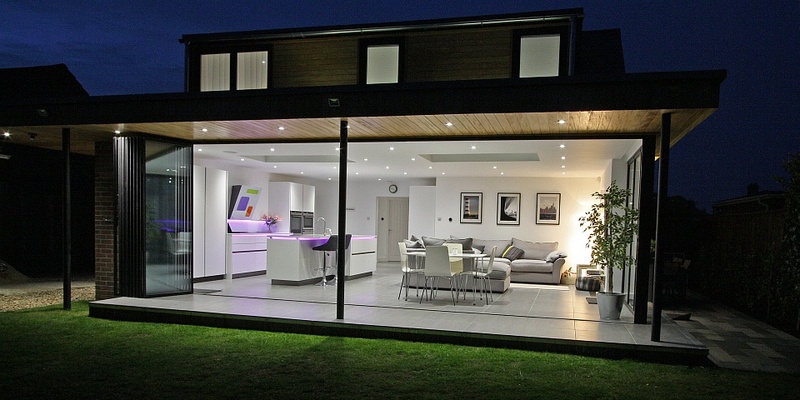 UltraSlim Doors are all fully retractable, which means that when they are all open, they stack at right-angles at the side of the opening, maximising the access space between the two areas. Open or closed, UltraSlim Doors offer great visibility and light-flow. 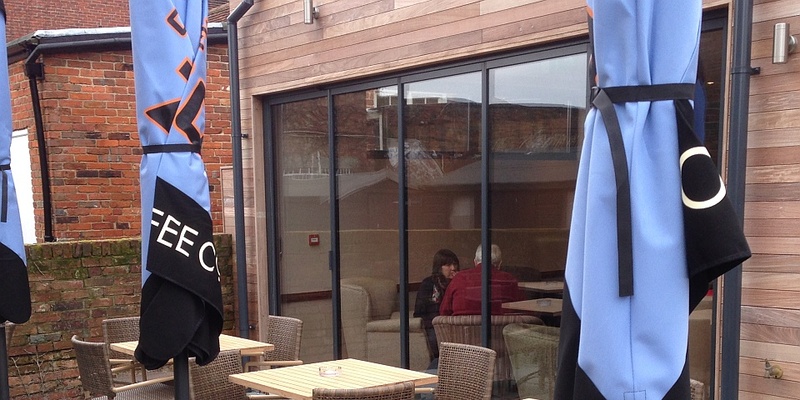 Request your personalised quotation for UltraSlim sliding-pivoting-stacking patio doors. 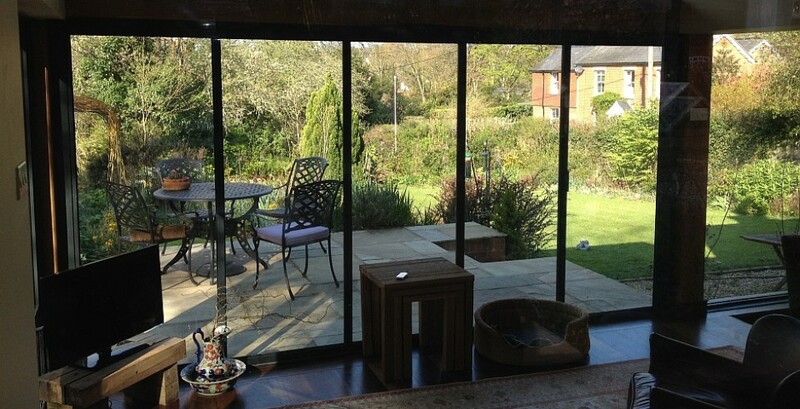 Alternatively, we supply large sliding glass panels which slide on dual or triple tracks. 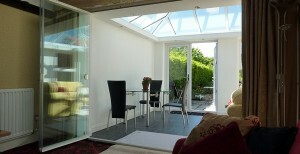 These wider large glass leaf doors can provide up to 6m width of uninterupted viewing per panel. 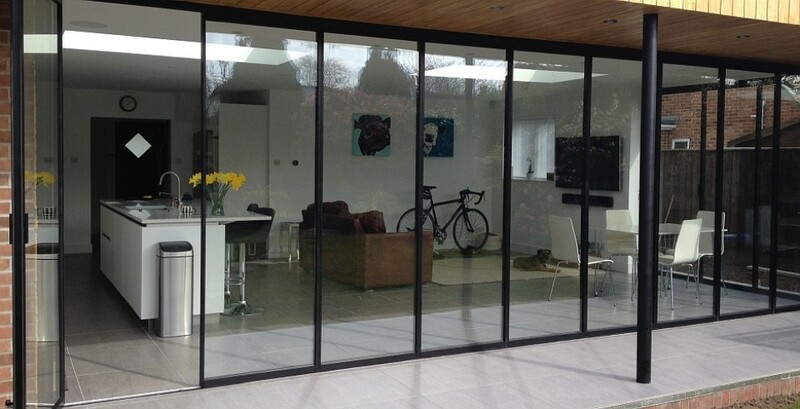 If you are interested in ultra wide patio doors with ultra slim aluminium frames, take a look at Sightline doors.